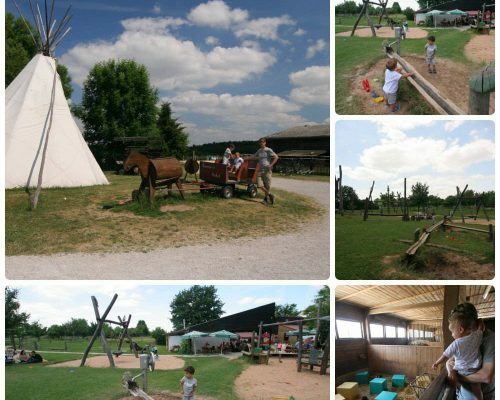 Do you know Landvergnügen in Germany? 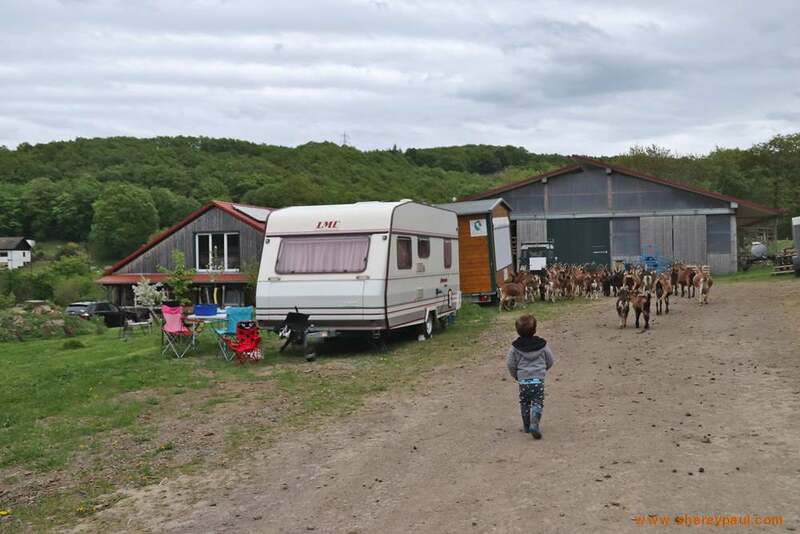 Landvergnügen is a guide/membership with which you can camp with your own camper, caravan or bus for 24 hours at one of the 585 rural addresses. 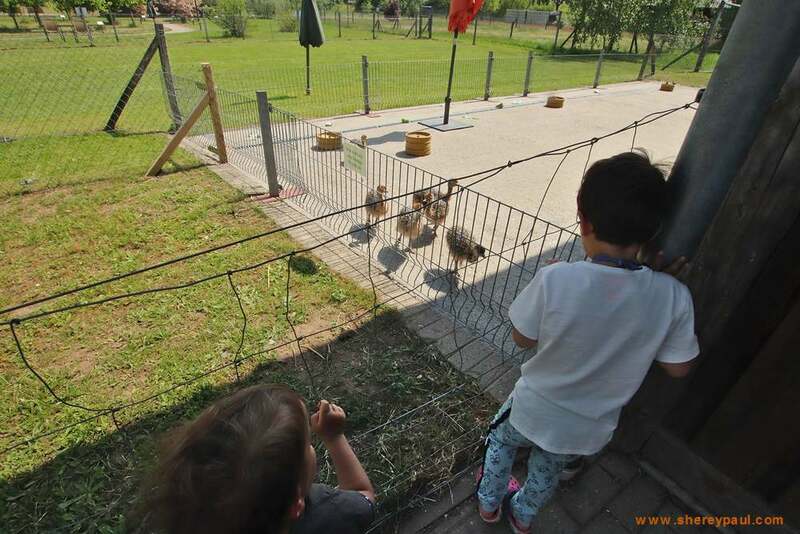 We have tried Landvergnügen on our trip to Europa Park near the Black Forest and we loved it! 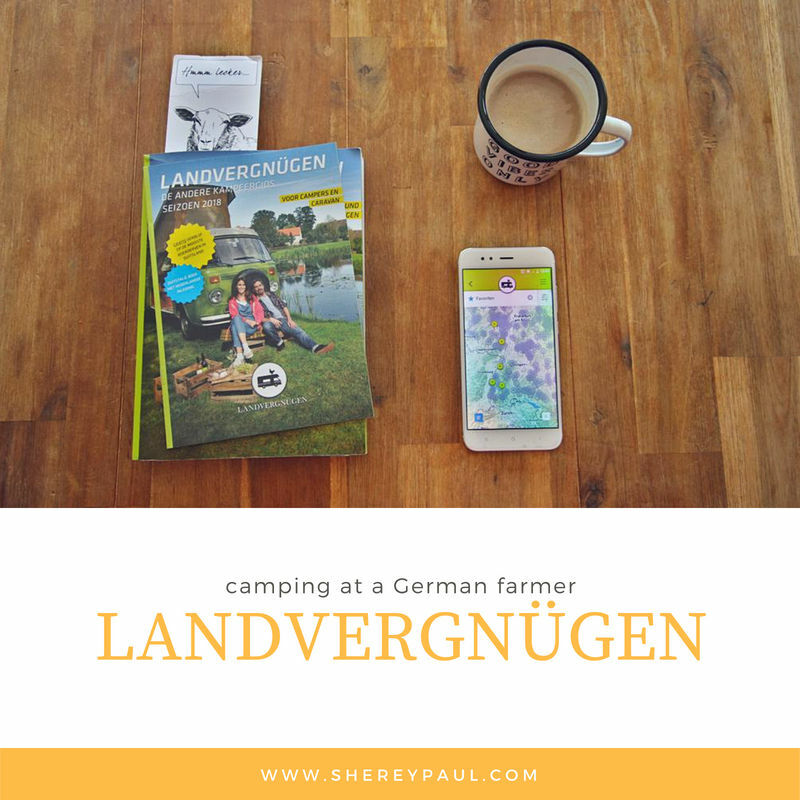 In this post, we share how Landvergnügen works and what our experience was. 2 How does Landvergnügen work? I was so enthusiastic about this farm, that I was also afraid that the farm might be full on the day of our arrival. I called the day before to ask if we could come the next day. That was possible. 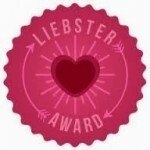 Jippie !! The next day, we wanted to arrive around noon, but unfortunately, there were a lot of traffic jams. Somewhere near Köln, the kids weren’t feeling like driving any longer. Luckily, we left the highway behind us and drove through the woods of the Eiffel. There is a lot to see in this beautiful region. Our GPS took us (once more) through a “tourist and adventurous” route: a few kilometres off-road with a car and a caravan :P. Then a very narrow street and a steep stretch up. But we finally arrived at the Rechhof. After dinner, Jan came again to us as agreed. 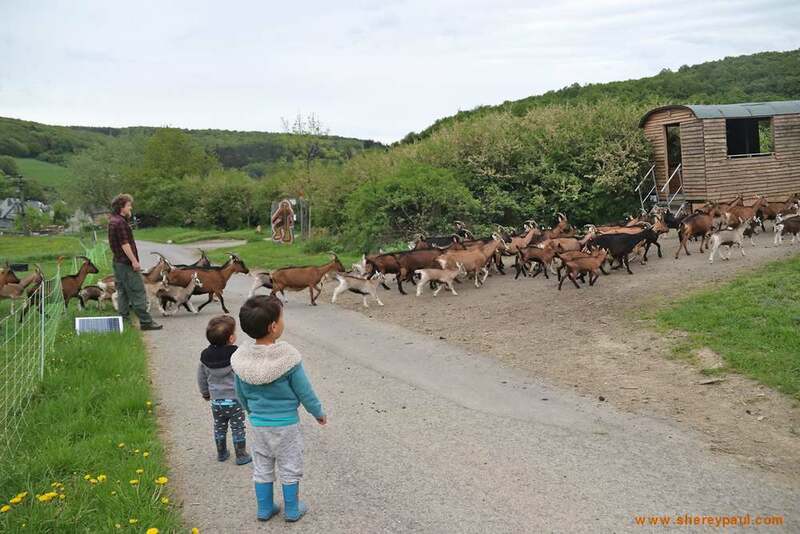 The children would “help” bringing the goats from the meadows to the barn. This was the highlight of the day for the children. They always want to help and when the goats were inside, they could also have a look and feed them. Fantastic! For our second stop, we had two options: the Moseltal or Heidelberg. As the forecasted weather in the Moseltal was not so good, we decided to drive to Heidelberg (200km from Rechhof). 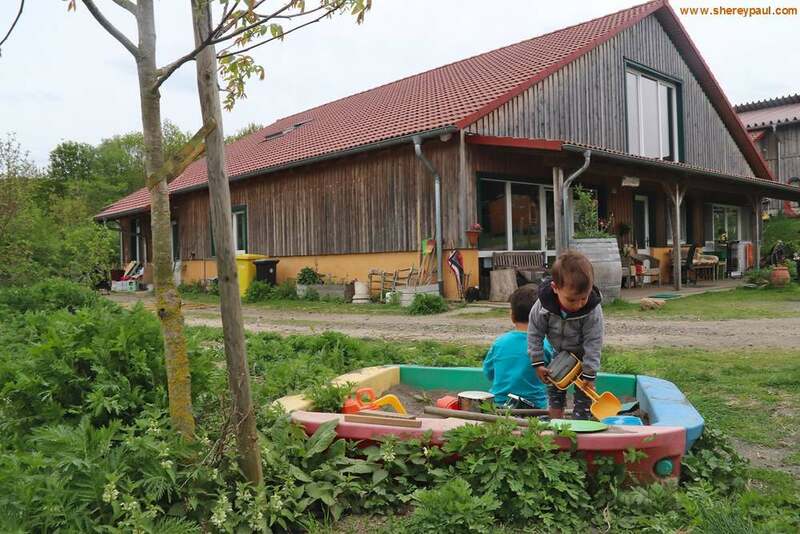 I called Landwirtschaft & Hofladen Quer Beet in the morning and they were happy to host us. Perfect! Quer Beet is not an animal farm, but they have greenhouses with vegetables. Unfortunately, we arrived on a ¨Brueckentag¨ (a day off as it’s a day between a bank holiday and a weekend) and the shop was closed. They have a small playground for the children and there was another family with young children. From Quer Beet, it’s a short drive or bike ride to the centre of Heidelberg. We went very early in the morning and avoided the waiting lines for the cable trains and the crowds at the Heidelberg castle. On the way home, we stayed overnight at the ostrich farm Mhou. It was not so far from Europa-Park, but I thought an ostrich farm would be a cool place to spend the night. And indeed it was! From our caravan, we could see the ostriches in the distance. You can take a walk around the farm and also have a look at the “nursery”. There, you can see/learn about all the stages of the egg hatching. Did you know that an ostrich needs a few days to get out of the egg? We saw a half-open egg with the ostrich in it. It is a very special experience. At the ostrich farm Mhou, there’s a shop with ostrich products and a restaurant with terrace. When we were there, there was a South-African BBQ. 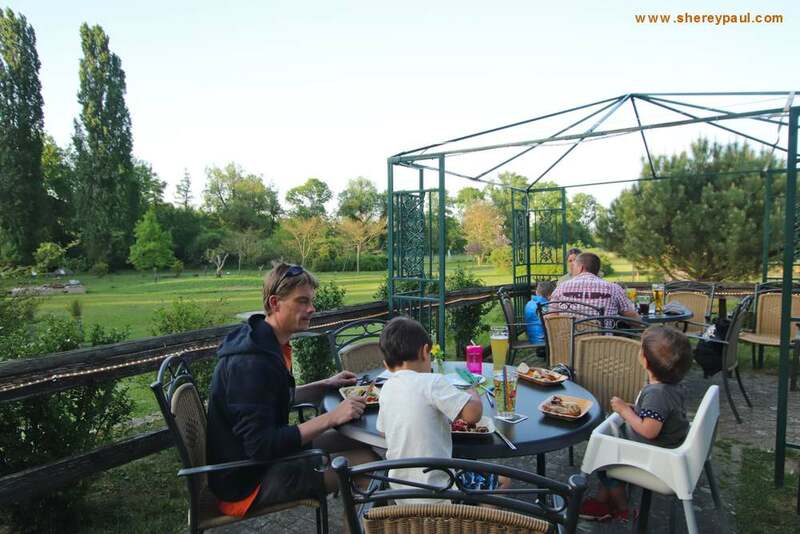 We enjoyed a BBQ with ostrich meat and other South-African specialities for 35,90€/person. Somewhere I read that sometimes it’s difficult to find a place during the weekend, but for us, this wasn’t the case. I called three times and three times we had a place. And all three times were during the weekend or school holidays. Depending on the type of farm, you will have more or less contact with the owner and with the farm activities. In our case, we have had the most interaction on the goat far. We were there more or less in the middle of the farm and we could see what was happening. 1- Buy a Landvergnügen guide. 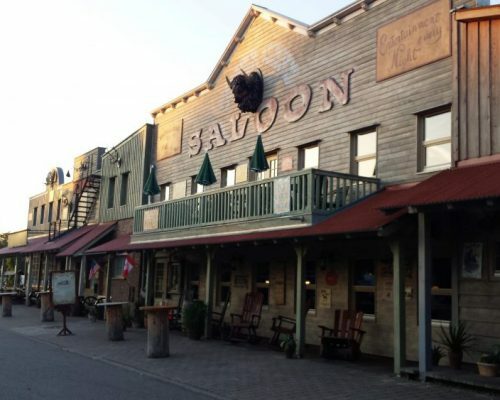 This guide contains the 585 addresses where you can stay overnight. 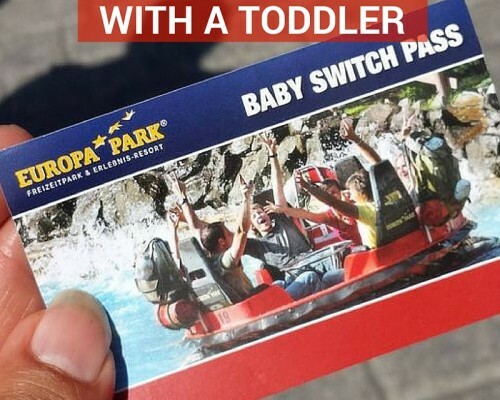 The guide includes the membership card, the annual vignette for the car or camper and the code for the app activating. 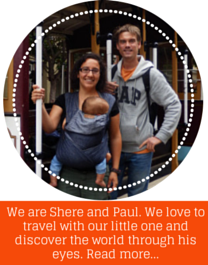 2- Have a look at the guide or app and pick a nice location. Each farm has a description and the list of the services they offer. For example, if you need electricity for your caravan, you can filter on those in the app. 3- Call the farm to check if they can host you. Most farms have a limited number of places and also want to know in advance if someone comes to visit. Therefore you need to call instead of just driving to the farm directly. You can call within 24 hours before your arrival. 4- Once at the farm, get to know the farm and the owner. 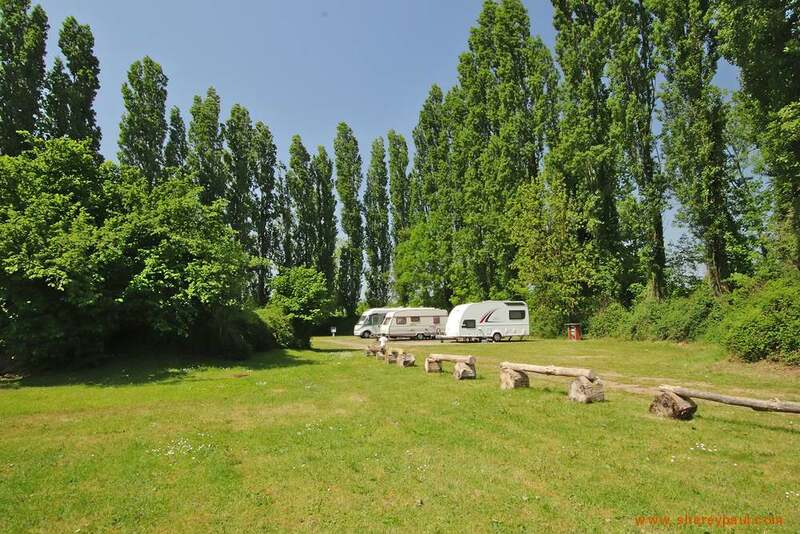 5- In principle, you do not pay any fees, except for extra services such as electricity for your caravan. The owners would appreciate if you buy any product at their shops and / or restaurants though. Landvernügen’s concept is not new. It follows the principles from France Passion. In France, campers can already stay overnight at (wine)farms since 1993. 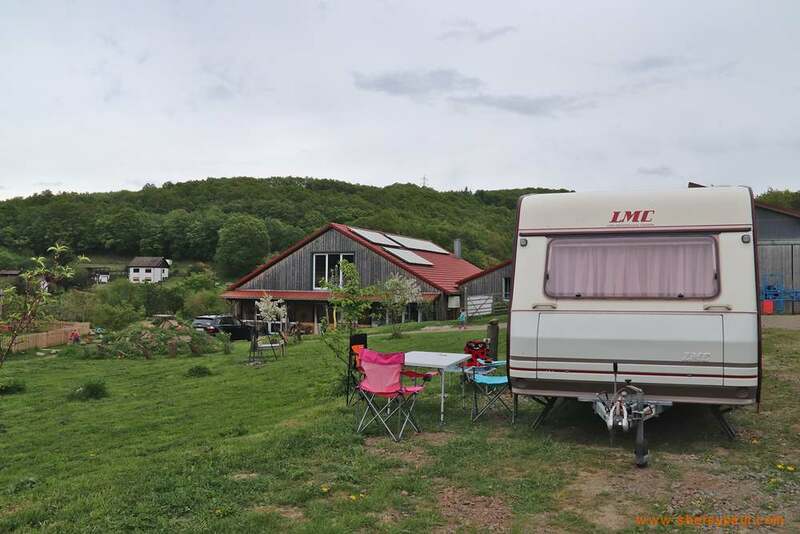 The biggest difference between Landvergnügen and France Passion is that Landvergnügen is for campers and caravans, and France Passion is only for campers. Also other countries like Spain, the UK and Switzerland have a similar program, but I think none of them is suitable for caravans. 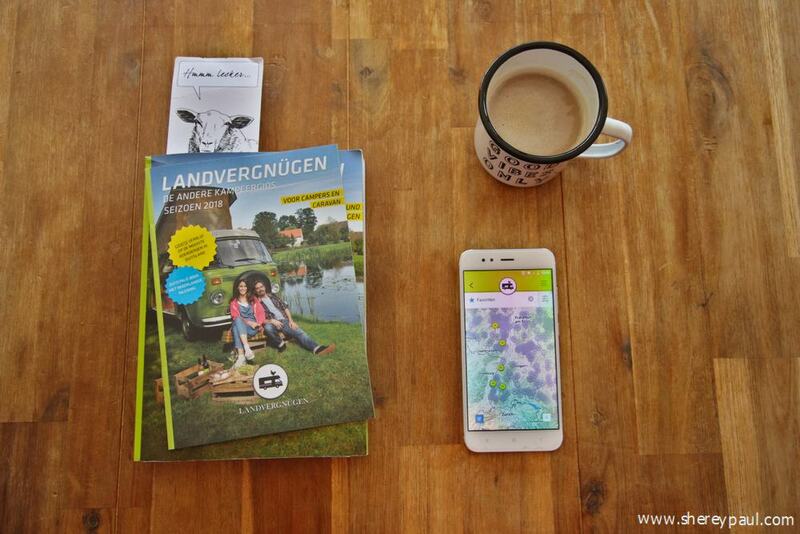 Last but not least: Landvergnügen has launched this year an app. With the app, you can see all the farms on your mobile as a list or on a map. 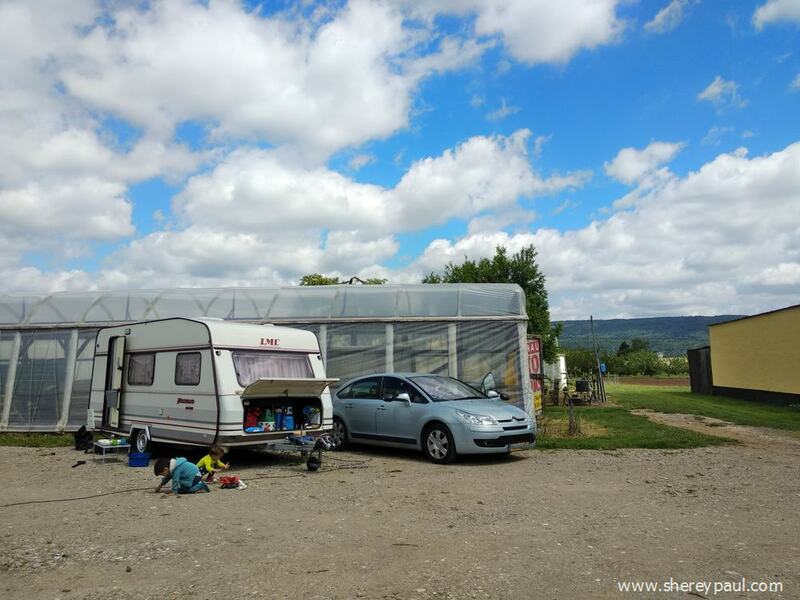 You can also filter on the services provided, which it’s really handy when travelling with a caravan as not all locations are suitable for a caravan. Another great feature is the “favourites”. You can save the locations in your favourites and later see them on a map. For the app, you need an internet connexion. If you don’t have one or you’re somewhere without 3G coverage, you can use the paper guide. Both, the guide and the app, contains the same information. Disclaimer: for the purpose of this review, we got a free copy of the guide. However, all opinions are our own. This sounds like couch surfing for caravans. What a great idea. What a range of experiences to choose from. 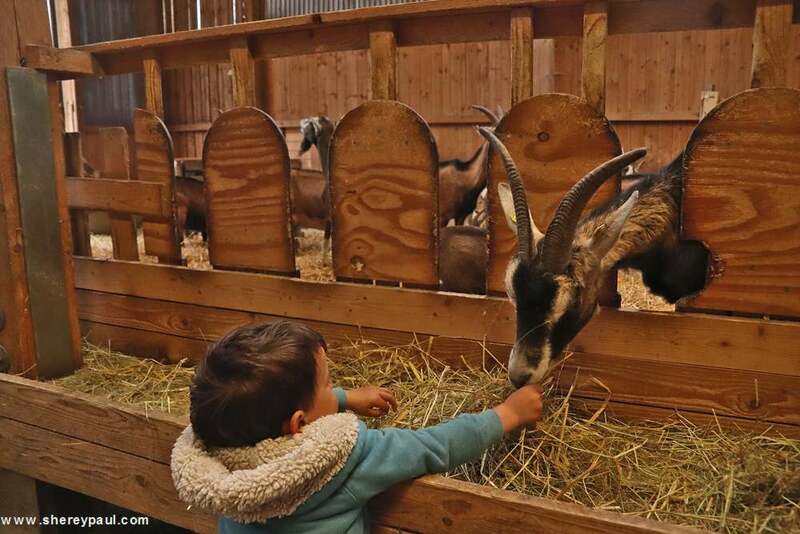 The kids must have really enjoyed the goats.